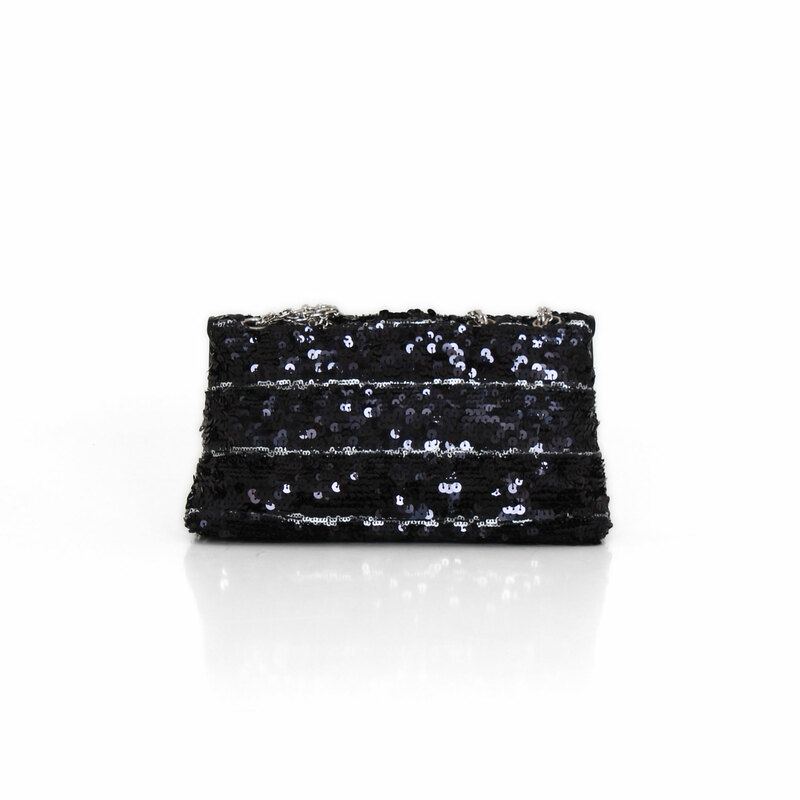 Go glam with this fabulous limited edition bag Reissue Sequin Medium Flap Black Silver by Chanel in its most festive version, perfect to combine with your looks at night. 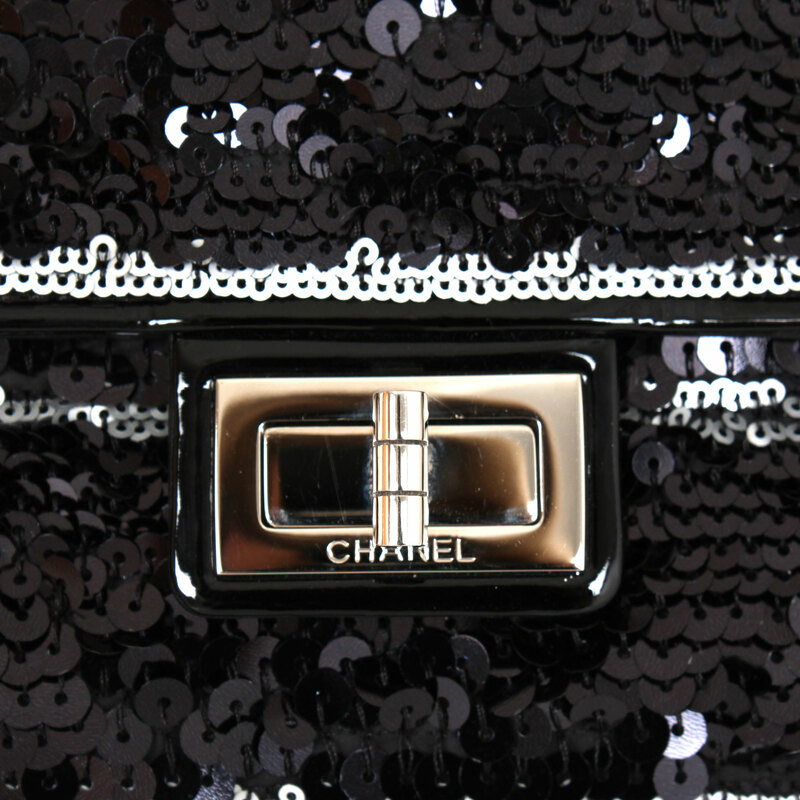 In CBL Bags we are dedicated to buying and selling luxury handbags like this limited edition of Chanel. 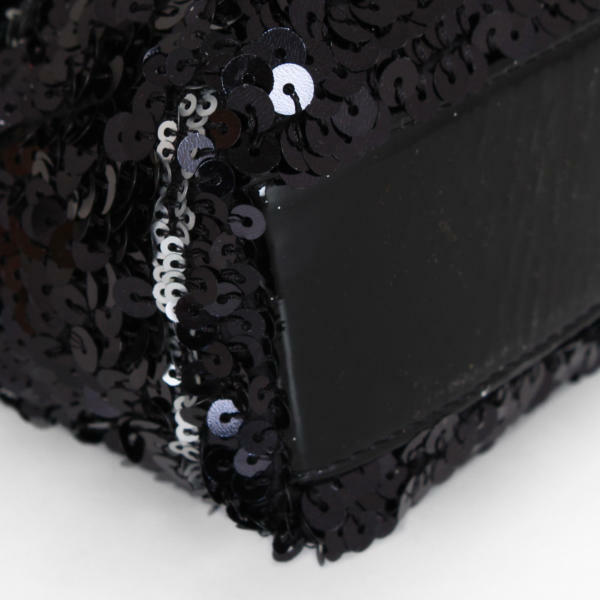 This bag is made in the soft lamb skin characteristic of the house Chanel, lined with beautiful sequins of various sizes arranged linearly in gray, white and black. 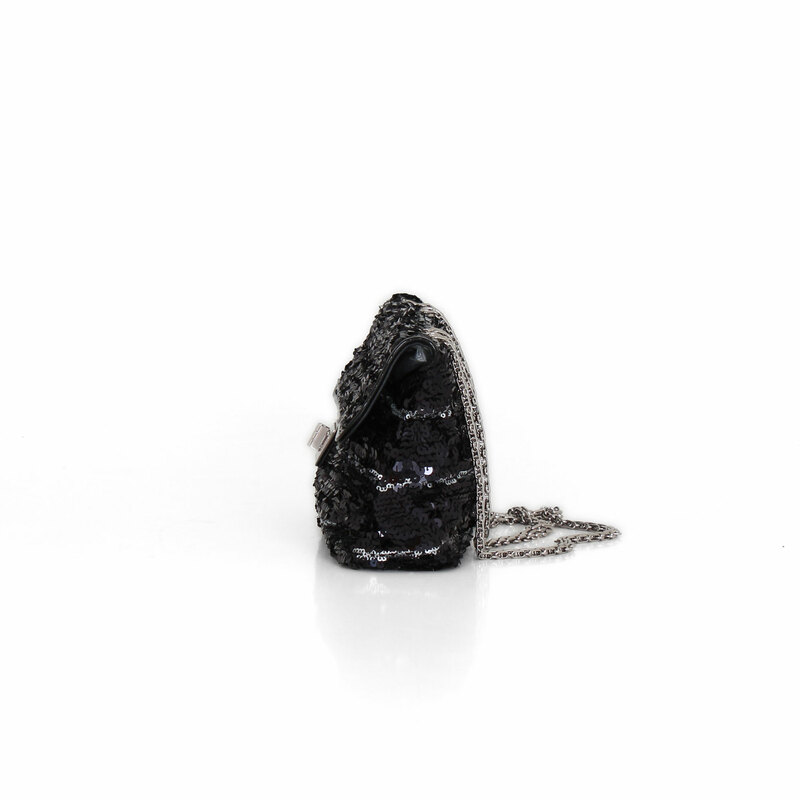 The bag has a chain that allows it to be worn on both the shoulder and across the body. 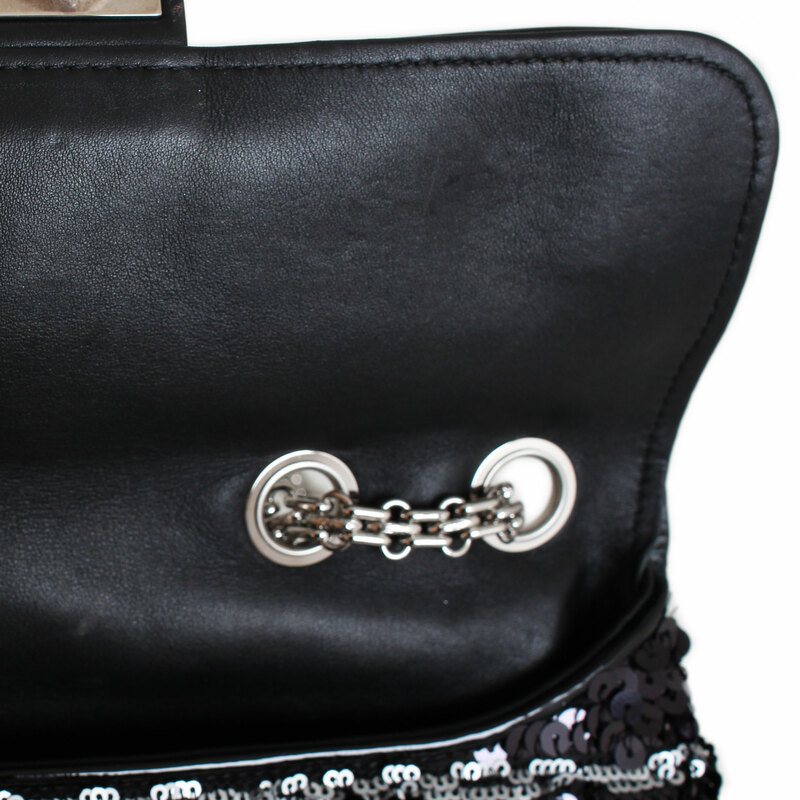 The flap, with the characteristic Mademoiselle closure, opens to a large leather interior on the back and the rest in satin forming three pockets, one accessible by zipper and two open pockets. 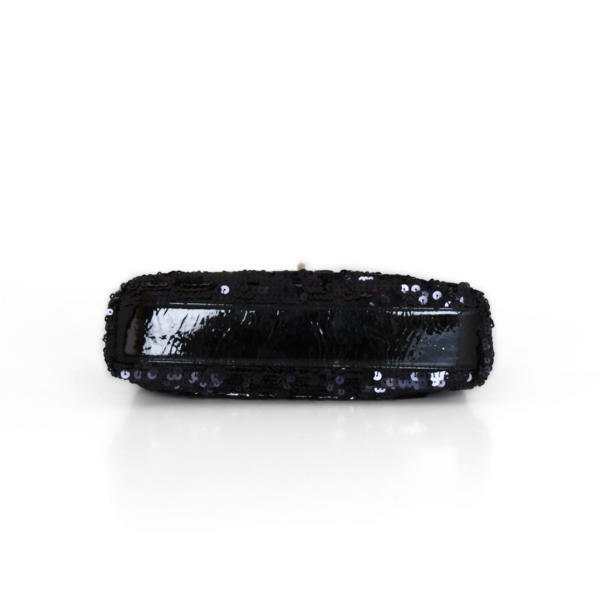 It is topped with the base and a trimming in black patent leather. 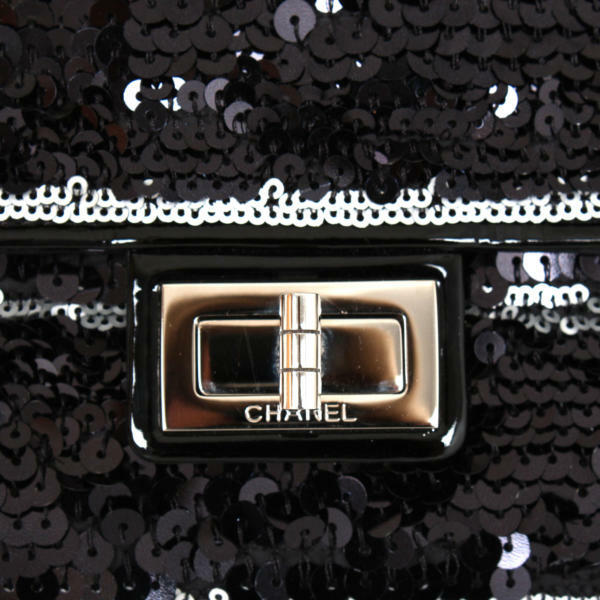 With an ideal size, this wonderful and original Chanel bag is perfect, comfortable and elegant for all evening outfits. Details: Very soft marks on interior leather and hardware. Sparkles of glitter inside and in the base.